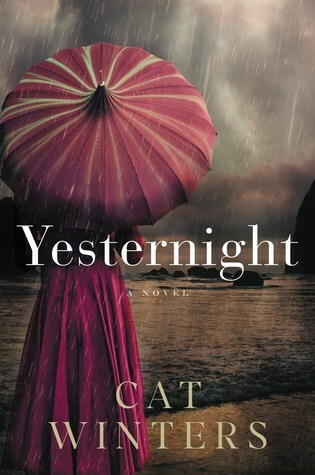 Summary: In 1925, Alice Lind steps off a train in the rain-soaked coastal hamlet of Gordon Bay, Oregon. There, she expects to do nothing more difficult than administer IQ tests to a group of rural schoolchildren. A trained psychologist, Alice believes mysteries of the mind can be unlocked scientifically, but now her views are about to be challenged by one curious child. Alice is in some way like Winters' other female leads: ahead of her time, intelligent, head strong. She is a woman in a career dominated by men. She desperately wishes to go uni, but has been rejected because of her gender so instead is forced to go from school to school administrating IQ tests. In other ways she is not like Winters' other female leads, but I can't go into detail as to why because spoilers. Another similarity between this book and her others: it's really atmospheric. Winters does a fantastic job of bringing the story to life with her vivid descriptions. There's a creepy undercurrent throughout the book and as the investigation into Janie's 'past lfe' as Violet Day unfurls Alice even begins to question her own troubled past. Eventually as things started to come to light I still wasn't sure where the story was going, and I kind of liked that, it was refreshing. The ending was unexpected and left me chilled. If I’m honest it took me a little while to process how I felt about Yesternight when I finished it. It's a strange book, but in the end I decided I liked it. Although not my favourite book by Winters I still found it to be thoroughly engaging. I'm glad you enjoyed this one! I loved Winters debut but haven't picked up another novel by her since, so I'm looking forward to starting another one of her books. Great review, Renu! I've enjoyed Winters' books that I've read so hopefully I'll like this one too. I'm curious to see how Alice differs from her other leads. I really liked her previous works and I have a weakness for all things atmospheric. Hopefully I'll enjoy this one just a bit more than you did, although I do see your points. Great review.